A month or so back, the lovely people at Barbour kindly asked if they could send me some goodies. Having been hankering after their Liberty collaboration last season, and since their classic jackets date from my era of choice anyway, I absolutely jumped at the chance of owning something myself. 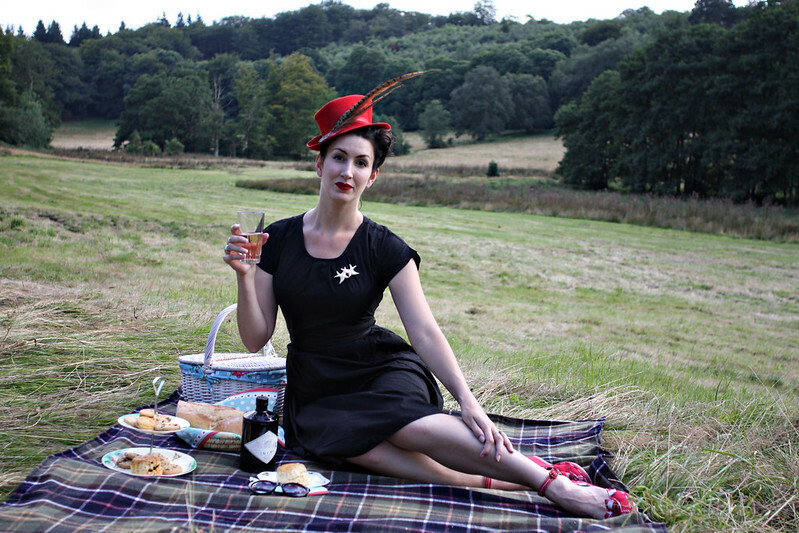 And since all they required in return was a guest blog post on what to wear to the fabulous event that is the Goodwood Revival, how could I possibly say no? I didn’t, I said YES PLEASE. Please head on over to the Barbour Blog to read my Guide to the Goodwood Revival post in full, but I thought I’d show you the pictures I took. Awesome Barbour picnic blanket that folds up into a bag, so useful. 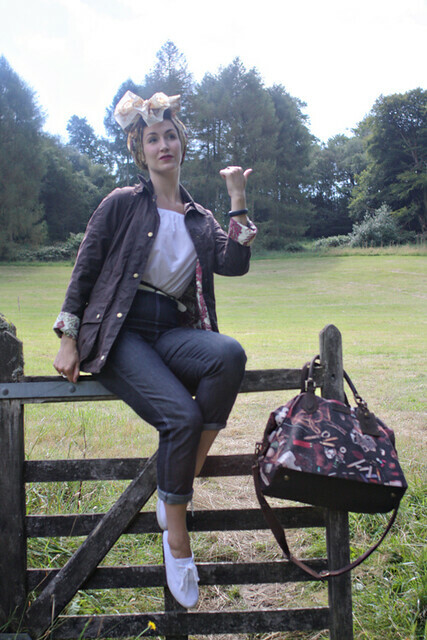 Thanks a million to Barbour – I’ve got so much use out of all of these bits already, and the Liberty jacket saved my life at Bestival yesterday as I queued for an hour in the rain to catch a bus! 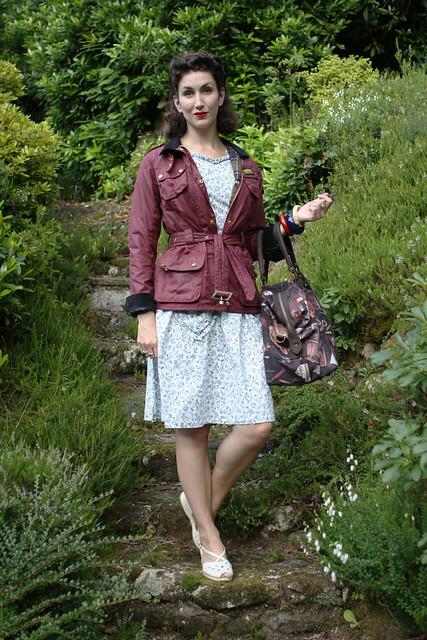 They will all be featuring throughout my autumn and winter vintage wardrobe, and I will certainly be taking my blanket and jackets to Goodwood Revival next weekend (don’t forget to read my full guest blog) … see you there? I have a picnic blanket that zips up into a bag, it's cow print and I won it from Anchor butter! I like the first jacket best. Oh my heavens, such lovely Barbour goodies!! I am in love with all of them! Such immensely gorgeous photos! I looked through all of them three times trying to pick a favourite outfit, but I can't, there are just so many elements from each one that I adore. That ruby jacket is wonderful! Want! I've never thought of them in a fashion sense before. The ones I've always had were the traditional ones that after years of wear and in and out the stables loked like they'd been dragged through a ditch and smelled of wet dog! That red one is not bad at all. So elegant!!! The third photo, I like it most. I love my Barbour jacket but I really LOVE your hat. Elegant and sassy!